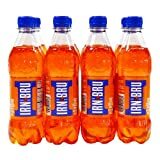 Irn Bru 32 is the energy drink version of Irn Bru soda. 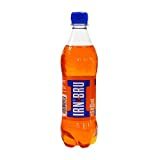 This drink available through-out Europe/ UK and reportedly now in America. 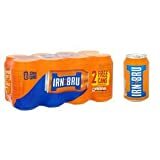 Irn Bru is available in several different sizes and a sugar-free version as well. The soft drink version contains both caffeine and quinine. Sugar content: 11.5 grams (per 11.16 ounces). 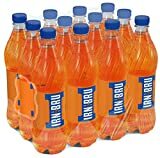 Irn Bru 32 contains 9.50 mgs of caffeine per fluid ounce (32.12mg/100 ml).